Frequent commuters of MRTS are complaining that the trains are not running as per schedule, putting them in a quandary. With trains getting delayed, more people pile up at the platform, vying with each other to board the train once it reaches the station. Ironically, the following trains that come within a few minutes ply with less passengers. On an average, as many as 80,000 - 90,000 people travel by MRTS trains daily between Chennai Beach and Velachery. 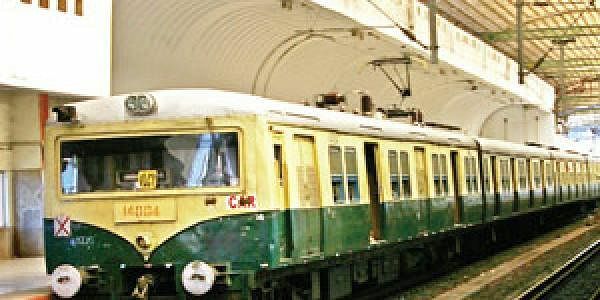 The train passes through 19 stations including Fort, Park Town, Chindatripet, Chepauk, Triplicane, Light House, Tirumailai, Mandaveli, Greenways Road, Kotturpuram, Kasturbai Nagar, Indra Nagar, Tiruvanmiyur, Taramani and Perungudi. When contacted, railway officials were not available for comment.